Since the announcement of Azure Sphere in April 2018, Microsoft’s ecosystem partners have activated to build new development kits and modules to bring Azure Sphere to a broad range of customers and applications. This expanding ecosystem offers benefits to customers and partners, such as accelerating time to market, reducing costs and driving new innovations based on customer and partner feedback. 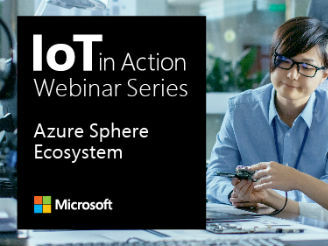 This webinar will introduce each of the Azure Sphere component offerings on the market today and the partners behind them, Seeed, Ai-Link, Avnet and USI and explore how these development kits and modules can support you to build new solutions with Azure Sphere.